Smok TFV8 Baby V2 Sub Ohm Tank $18.99 (USA) - Daily Vaping Deals & The Best Vape Product Reviews at Vaping Cheap! For a limited time only, the new Smok TFV8 Baby V2 Sub Ohm Tank is now in stock and on sale right here for only $18.99! No coupon code required! The colors available for purchase are Stainless Steel, Rainbow and Blue. Free shipping applies to US orders over $39.99. The new Smok TFV8 Baby V2 Sub Ohm Tank has an overall diameter of 30mm, so it will look great on larger box mods! In addition, this tank has a maximum e-juice capacity of 5ml and sports an easy to use top fill design. This atomizer is primarily constructed out of stainless steel material and includes a wide bore drip tip, which is perfect for cloud chasing! The Smok TFV8 Baby V2 Sub Ohm Tank uses the new Baby V2 Coils and includes 2 replacement coil heads. This tank also features adjustable bottom airflow, so you’ll be getting solid flavor. Lastly, the TFV8 Baby V2 Tank sports a standard 510 connection pin and has a locking mechanism at the top of the atomizer. All in all, this is an incredible deal for the new Smok TFV8 Baby V2 Sub Ohm Tank! 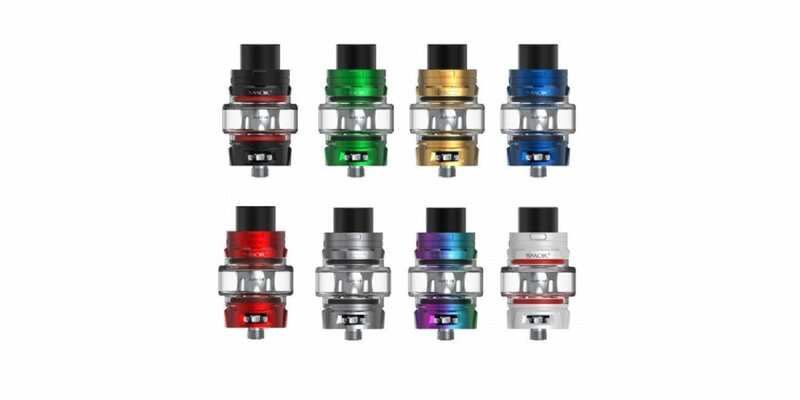 If you’re a fan of Smok sub ohm tanks and looking for a new one to add to your vape collection, then this is a deal you cannot miss! Be sure to check this deal out at VapeWild for only $18.99! Be sure to act fast, a deal like this will end soon!